Time for big changes? Start with your career! 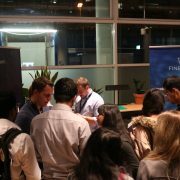 Here at TechMeetUps we are happy to help job seekers find their dream job. 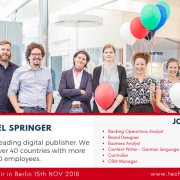 Munich Tech Job Fair is a great opportunity that can become the life-changing one for you. We are excited to tell you about the companies that join us to find the talent they need. Meet Motius an R&D company, designed to always remain young. The five founders of the company, Zied, Daniel, Michael, Philipp, Sören, were and are passionate about new technologies and how a few of them currently disrupt whole industries. Once they were all students in big tech companies like BMW, Rocket Internet etc. and realized, that it’s the young techies who push innovation and really have know-how about new technologies. They realized that young people should have a bigger impact on the world, as these are the people who will shape the future generation of tech. That’s why they started Motius, a company where building things and developing innovative products using the latest technologies in day-to-day task. New technologies are appearing at a rate as high as never before. It’s becoming more and more challenging for for big companies worldwide to keep up with that pace. 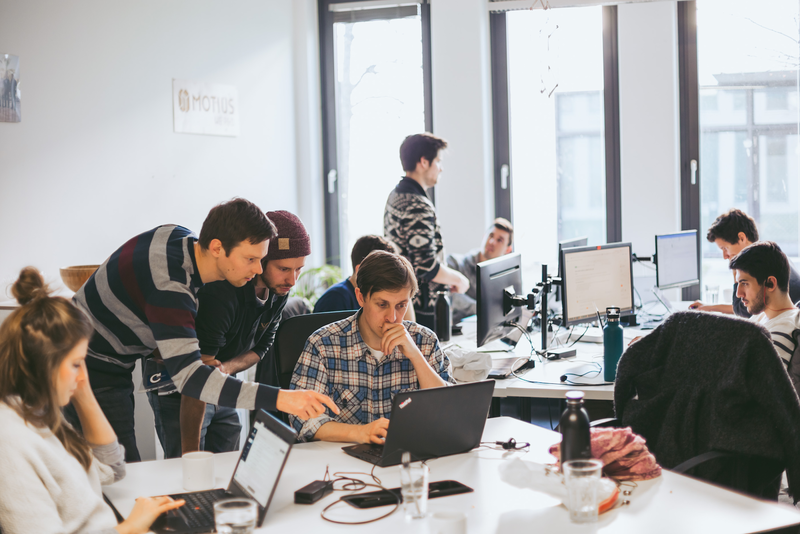 In order to be able to keep up with that speed Motius has created a company structure and culture that enables young techies to be specialized in the newest technologies, in every tech cycle. 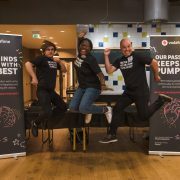 Their “talents first” approach enables the tech community at Motius to stay curious and create products with emerging tech with world-renowned customers. Old and classical service companies focus too much on customer happiness and forget about employee happiness. 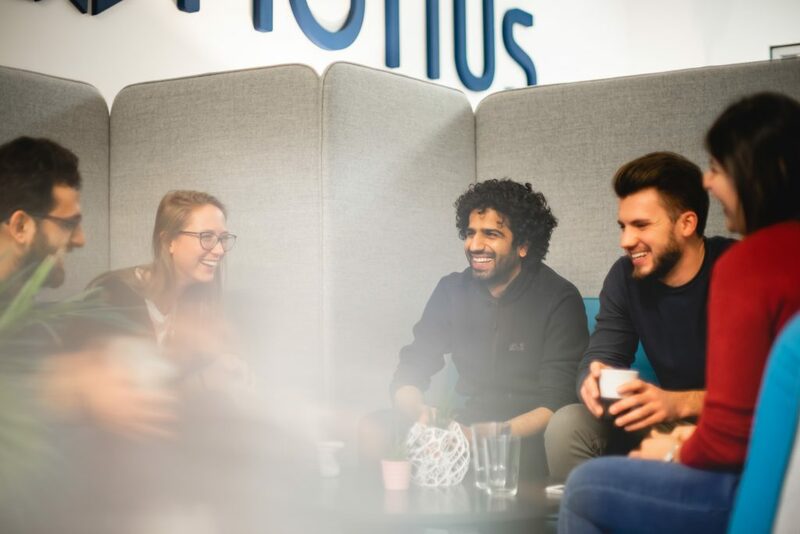 At Motius, they focus on the latter one and, with happy people, make their customers happy by developing high-quality innovative solutions. Motius enables growth for techies from every field and for companies from every sector by inventing and developing state-of-the-art R&D solutions for their customers. They are curious and confident techies that are eager to tackle complex and diverse problems and collaboratively work on creating products and prototypes. The team loves to explore, so they discover new tech together in a playful manner. They don’t just develop products, they find solutions for existing problems in different industries with new technologies. Another special thing at Motius is, that they don’t have fixed and dedicated desks inside the office. Rather than that, they have different rooms for different working modes: A silent room for high concentration and individual work, an open space were people can sit together in teams or individually – as they need it, a community space with couches for more comfortable meetings and several dedicated areas around the office for meetings and discussions. 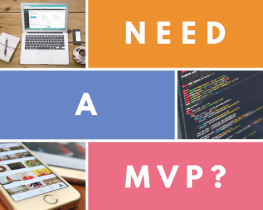 The people at Motius come from a technology background (or business background with a clear tech focus).They are curious and want to grow and get better every day. Motius unites the people who actually DO stuff and prefer that compared to just TALKING about stuff. 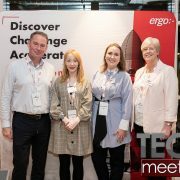 Besides a competitive salary, stock options and a beautiful central office in Munich the employees get 10% of their work time for learning and exploring new technologies. For a young company in the growth phase, it’s not usual to invest this time as deadlines and challenges are always close. But at Motius, the team knows that this is essential to stay unique and interesting in a very competitive environment. And obviously, there are perks like great coffee, monthly team building events, sport’s groups, and all of that contributes to a great collaborative company culture. Want to join this great team and be a part of their mission? 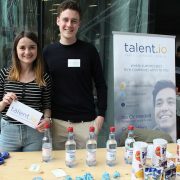 Munich Tech Job Fair is the place for you. Grab your tickets and get ready! 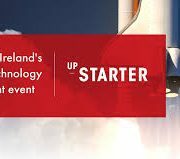 Tech Startup Jobs blog can be a great help. 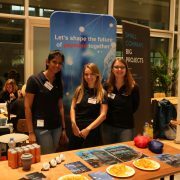 You can also learn more about the team if you visit their website, Facebook, Linkedin and Instagram!